Some interesting roles and responsibilities in Product Management teams never get explicitly advertised. However, most good product managers often end up wearing multiple hats. Depending on the size of the team and the complexity of the product management process, some of these hats may be shared with other team members. Abhinav Kumar provides further insights. Product Management is a highly cross functional role which involves owning, managing and strategizing the entire life cycle of a product. It’s an action packed journey which requires you to play different characters in different intervals. A conductor of an orchestra is someone who instantly comes to mind when I think about product management. The way in which the conductor would control the tempo of a piece, indicate by gestures the cut-offs for the instrumentalists or communicate how much to crescendo or decrescendo, similarly a product manager would communicate the roadmap and vision of the product with different functions within the organisation and drive them together as a team to reach the end goals. The show kicks off from being a cool detective, someone who would do a thorough market research and analysis to investigate the needs and problems of the customers which they want you to solve badly. This study sets the foundation for your product. This would include you to have a deep understanding of business, the existing clients and the potential clients which your product would cater to. You should be aware of your competitors, how are they trying to solve their customer’s problems and you should be able to anticipate their next moves to always be one step ahead. I think, it is the most important part of your script, as it is the stepping stone to success. This is the time when you define your product. If you start on a wrong note (i.e. if you couldn’t empathize with your audience), then the more you climb this hill the steeper it becomes with very less way outs ultimately leading to the inevitable fall. You are the one who has the vision for the product and therefore creates the entire roadmap of the product supporting the vision. You are the glue who will connect all the involved functions, the one who articulates the vision for the product in making and the completion plan to the stakeholders. You need to shoulder this responsibility of being a robust bridge betweenthe company and the customers. So boss it’s time to roll your sleeves up and let the execution begin. Put your left brain to rest and let your right brain take control of the wheel. The job in hand now is to reproduce the image of the dream product which has been percolating inside you on the blank canvas. Either you will be working with Product Designers and Product Developers as a team to get the product designed, constructed and tested for release or you might need to fill in for one function given your expertise, lack of resource and size of the organization. The one most important characteristic of a successful Product Manager which often goes unnoticed and helps him to get the work done is his ability to interact with different functions and maintain healthy work relationships. As a Product Manager you will need to work closely with Sales, marketing, Finance, Engineering and Operations, communicate the vision clearly and share the roadmap with everyone and maintain transparent communication channels with every function involved which would help you in smooth sailing as any personal conflicts with anyone can prove to be fatal for the health of the product. This is where the real juice lies. The right implementation for a product involves doing the right things to ship your product on time. This involves core project management responsibilities of breaking down the roadmap into specific tasks, tracking the progress of these tasks, troubleshooting bugs as they are encountered and deliver feature suggestions as they come up. You need to be agile and organized with gathering information from various teams and properly summarizing/documenting the most important information to be shared with appropriate stakeholders. This is where the craftsman inside you is active who knows when to communicate, whom to communicate and how to drive the team as a unified entity. 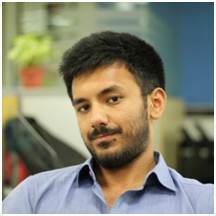 Author Bio: Abhinav Kumar, a graduate of St Stephen’s College, works as a Project and Innovations Manager. He is passionate about problem solving through user friendly products and efficient processes. Connect with him on LinkedIn. Share your thoughts and queries for him in the comments section below. Thank you so much. There is some very interesting stuff coming up soon. So stay tuned. Like the article says, these roles aren’t advertised explicitly in any Product Manager JD. But I’m still curious. How did (or would) you map each of these roles to the bullet-points that are generally listed in the real job description for a Product Manager job? Or are these only based on your experience? Thanks for your question Pramod. Quite a fair one I must say. Yes, I have definitely experienced these roles at work myself, but I did a lot of research too, which involved talking to a lot of Product Managers, listening to their stories about how they shipped their work, the roadblocks they faced during the process and the way in which they overcame them. I could really relate to a lot of them. That’s when it struck me that as a Product Manager, one needs to be really versatile. I went through a bunch of Job Descriptions for a Product Manager and discovered that they vary according to the industry and the size of the organisation. I found that a JD could be really simple wherein they are trying to convey that you are the CEO of the Product, make sure the Product is really unique and it sells. Therefore I tried to generalize the roles of a Product Manager for people who are clueless about it but they want to know about the qualities one must possess to be good at it or for the newbies in the corporate world or for those who have no idea about the different roles in a company but they have the traits to be a good product manager. Its quite informative and seems to be a challenging role. What do u suggest for someone who wants to get in to product management after their graduation ? Thanks for your question. I’m glad you liked the article. There are a lot of ways in which you can enter this massive arena of Product Management. You can start as a Product UI/UX Designer or a Product Developer if you are obsessed with coding or a lot of big companies recruit Associate Product Managers straight after their graduation, but you must have a decent technical background for that as well. But if you don’t have one, there are still plenty of other avenues which would get you there my friend. You can work as a Business Analyst and from there move to Product Management as you would have already gained some invaluable skills like doing market assessments, right implementation strategies, pricing strategies etc. Another option is to get a role in marketing which would teach you how to market a product, ways to make a product sell more and how to plan and run campaigns for a Product Launch. From there, you can slowly make your way into Product Management, although a lot of companies like to have a separate Product Marketing Manager as well. Then there is always an option of starting as an intern. Try to work with a Product Manager of a big brand, shadow him for a couple months and see if this is what you want to do. Who knows, if you do a decent job as an intern you might get a full time offer in the Product Management team there for a technical or a marketing or associate Product manager role. Very innovative & so nicely explained that even a lay man can follow. Thanks a lot! Some more interesting stuff coming up very soon. Do come back for that. I’m really impressed by the conceptual clarity of the project. Your lucid explanation of what goes into the making of a successful project & the apt analogies employed……my God how innovative you are ! You have always done us proud ! God bless you & wish you all the best for a successful @ fulfilling career ! Thank you so much for your wishes. I m really happy that you enjoyed it. In India, mainly service companies are there in technology (like Infy, TCS, cognizant) which have become big. But even with the resources they have, they still stick to services. Why? Is it worth getting into product companies at this stage? Or will it be bit risky? Lets start by understanding the difference between a service company and a product company in layman’s language. A service company is like a tailor which will give you exactly what you need by taking your measurements, asking you about the specifications of the final product which will be delivered to you, you will go to a tailor when you can’t find what you are looking for in the market. A product company on the other hand is like ready made garment manufacturer, they target a much larger audience, but its not important that they are solving everybody’s problem. They stick to services only because it works for them. And rightly so because product companies can be extremely risky as the products might not sell after a period of time but in a service company, you are billing your customer for the efforts you put in order to solve their problems. The good news is that we are now rapidly moving towards the third wave of IT entrepreneurship which is Product Companies. It all started with the Service Companies and then came the internet and mobile consumer services i.e the likes of Makemytrip, Flipkart, Ola etc. But if you closely look at the top 30 product companies in India, their predicted evaluation is more than $10 billion. So product companies are the next big thing for sure and if we talk about Product Management I just see this space getting hotter with time. So if you are young and targeting a career in product management, i would personally recommend just close your eyes and take the jump.